In recent years the perceived success of the Baselworld Fair has seemed to rise and fall with the reaction to the announcements from just a handful of brands. One could be almost forgiven for forgetting that brands other than Rolex, Patek Philippe, and Tudor even exhibit at the fair. And with the Swatch Group out of this year’s fair, and not likely to return anytime soon, that small selection of top tier brands is under an even more powerful microscope. 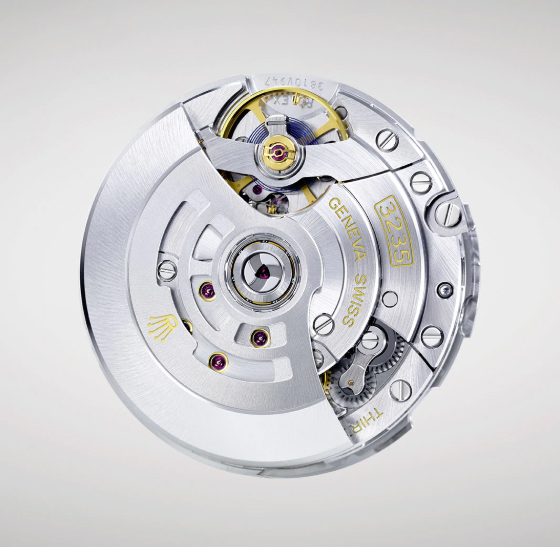 Rolex, then, would seem to have a lot riding on their Basel introductions. In recent years, they’ve turned out hit after hit: the Ceramic Daytona and Pepsi GMT being chief among them. 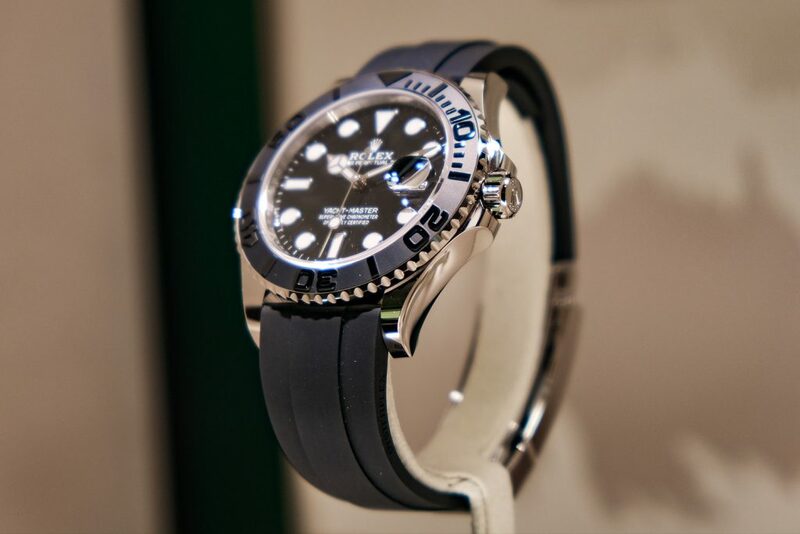 What to make of a year, though, in which Rolex seems to consolidate their lines, and forgoing the release of an easily identifiable “hit” watch? Rolex does what it does. To say that they see the long game is a massive understatement. Their watches go through small, incremental changes year to year. It’s best to look at years where we see major new releases, like last year with the Pepsi GMT, as outliers. Most of the time, we’re going to have release schedules like this year’s. The addition of two tone models, new sizes to existing models, bracelet configuration changes. That sort of thing. This year, the Yachtmaster gets a small (literally) update. New calibre 3235, A new case size for the white gold model brings Rolex’s pure luxe diver to 42mm. On an Oysterflex rubber strap, it would seem that this model is meant to compete directly with the white gold Patek Philippe Aquanaut – both are precious metal versions of a watch that most associate with a steel version, in under the radar configurations not mean to be too flashy, but still easily recognizable to those who are, well, inclined to recognize this sort of thing. At a glance, the Yachtmaster looks almost identical to the Submariner, but the former has high end touches that would be out of place on a Sub. The Yachtmaster has traditionally had flourishes of color where the Submariner has remained basic black, for the most part, and has not only been cased in precious metals exclusively, but has included platinum elements in the bezel as well. The result is a bit of an insider’s watch, something that looks pedestrian at a glance but is anything but. 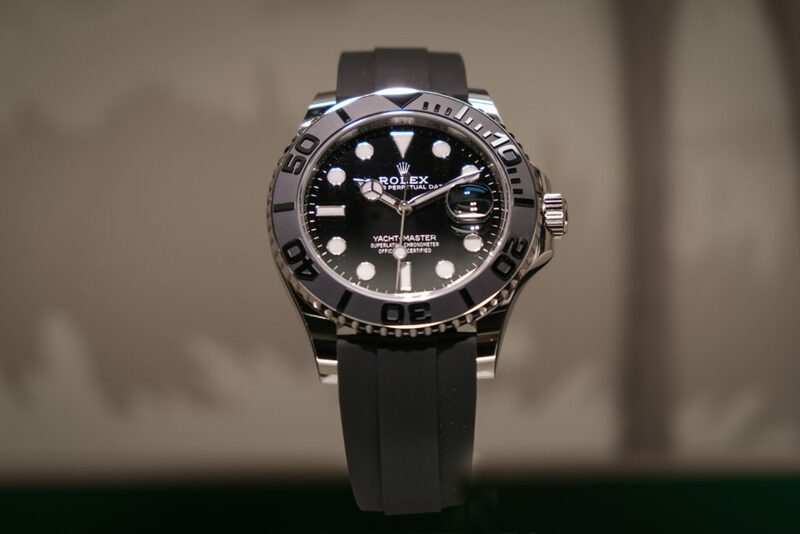 Also of note in this release is a matte black bezel, which already has many wondering when or if this will come to the rest of the Rolex sports watch lineup. 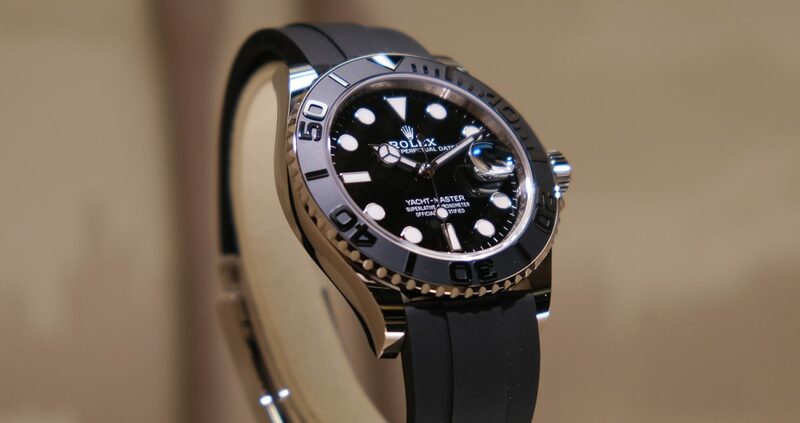 My hunch is that we’re not likely to see the introduction of this style of bezel on a basic Submariner or GMT anytime soon, as it’s yet another differentiator between the consumer product and the ultra high end.